"Laura was incredible every step, made the home buying experience fun and satisfying!" "Laura was absolutely fantastic - professional but also felt that I had a friend helping us through the process. She made everything so easy and stress free, and we really trusted and valued her input and felt like we were in safe hands. She is super efficient and was on top of everything during the whole process, as well as being available for us night and day! The LG team has very much a small team/family feel and you really feel like you are being looked after well. Would recommend her a hundred times over!" "Laura and her team were great throughout the entire process of buying our first home. She was very personable and knowledgable - she was able to break down the process into small chunks so we didn’t feel overwhelmed. Laura’s team also answered any of our questions about the process in a timely manner. Highly recommend her team!" "Do yourself a favor if you're looking for a new home. Run, don't walk, to Laura Gardner's office! She is the most professional, knowledgeable, and results-oriented realtor I have ever worked with. She will work tirelessly on your behalf and make the stressful moving process as seamless as possible. I cannot recommend Laura and her team highly enough. You will feel the same after you contact her!" "Laura made our home buying experience a great one. We had a few bumps along the way that Laura helped us get through smoothly. We are loving our new home and it wouldn't have been possible without her!" "The LG Team was extremely helpful and a great resource during the selling and buying process. You knew someone was always by your side no matter what your questions were." "Laura and Kelly were very helpful during my home purchase. Any questions I had were always answered promptly and thoroughly. Laura was really great in helping me find the perfect home for me! I would highly recommend the LG team to anyone looking for an agent to help them purchase." "We had a fabulous experience! Laura and her team were knowledgeable, compassionate, and enthusiastic! Thank you for your time, attention and care through this entire process. My family and I are always recommending your services to anyone buying or selling a home." "Laura and Kelly were the kindest and most patient people to work with. This is now our 2nd time using Laura and she continues to get better and better. Her willingness to fight for her clients is admirable. Her knowledge of a wide range of areas and style of homes make her extremely valuable in the business. I'd use the LG team over and over again." "We were very impressed with the skill, knowledge and service of the the Laura Gardner Team as we searched for our first home. I would wish the same experience for any home buyer." "As first-time homebuyers, Laura and Kelly were extremely helpful throughout the process, providing support every step along the way! We greatly appreciate their help in finding our beautiful home!" "Laura is excellent at her job. She came highly recommended by a close friend and I have not been disappointed. She aggressively listed my home and has been responsive to all my needs. After only 2 months during a time of year that I felt would be slow, my home is already under contract! I would highly recommend her and her staff." "I highly recommend Laura Gardner and her team. When I chose Laura to sell my house she explained her marketing techniques using multiple channels. As a result my house sold in one week for a great price! Laura's commitment did not stop at the agreement of sale. She help me through the home inspection and township occupancy permit. Settlement is where I really saw Laura's hard work. She explained every item on the settlement sheet and every document I had to sign. Laura even found me more money! Selling my house was a very stressful time. Laura's professionalism and client commitment made it very easy." "Laura Gardner and her team were consummate professionals who looked after my wife and I as we sold a home and looked for a new one to buy this year. I cannot recommend a more highly seasoned agent in Laura who takes care of her customers and has many insightful recommendations to share when looking at houses. We are thrilled by the results of working with the LG Team!" "Everything was explained in detail to me. Any questions or concerns I had was always an immediate response. Friendly, knowledgeable , trustworthy and very very sweet. If I had more thumbs I'd give them five thumbs up! "GREAT JOB"
"Laura was Outstanding, as well as her fine staff!" "Laura was wonderful throughout the whole process and did not hesitate to respond anytime we had concerns or questions. It was a great experience working with her." "Laura and her Team were great! As 1st time home buyers, the process was new and nerve wrecking. However, Laura made the process comfortable and we felt as though we had all the knowledge we needed to make informed decisions. Laura and her team were also super responsive and available for questions and made sure the process moved along in an efficient manner. We were sad to settle on our first home only because we were going to miss working with Laura!" "We were very pleased with the Laura's Team and their professionalism, knowledge and friendliness - they took a very stressful time (selling/buying a home) and definitely eased the anxiety.......it was a pleasure doing business with them." "The Laura Gardner Team was extremely professional and answered all our questions quickly. It was great working with Laura to find our forever home. We highly recommend The Laura Gardner Team." "Laura is a fantastic realtor! She is honest and truly cares about her clients, not just a sale. We felt extremely comfortable putting our trust in her and she was very helpful and knowledgeable throughout our house buying process. We will definitely recommend her to anyone in need of a realtor. Thanks, Laura!" "Laura was very nice and helpful. We had a lot of questions as first time home buyers. Laura always answered our calls or called us back shortly thereafter, no matter what time we called. Laura and Kelly also answered every question we e-mailed them, which was very important, bc we knew we were being taken care of by people who had our best interested in mind. They got us in touch with or gave recommendations for various vendors to help with our needs (mortgage broker, septic service, home inspector, plumber, etc). Overall, the home-buying process went very smoothly and quickly. " "Many thanks to Remax, Laura, and Kelly. We found the perfect house and we couldn't have done it without them. Laura did an excellent job of answering all our questions, of which their were many, as we were first time home buyers. Because it was an estate sale, nothing was easy, but the whole team did a great job of working through the issues and advising us each step of the way. In the end, with Laura's patience and professionalism, we were able to get the house for thousands less than we were expecting to pay. Thank you so much for everything! And to everyone looking to buy or sell a home, you won't do better than Laura and her team at Remax"
"Excellent experience in purchasing my new home." "Laura is professional and made the purchasing process a breeze. We are extremely happy with her." 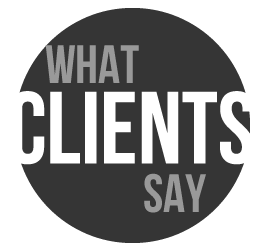 "My fiance and I were very pleased with Laura's services. We did not deal with a very eager seller so she made the process much easier & smoother for us. She is very knowledgeable & her personality is very easy to along with." "Laura was extremely professional, patient & considerate of my personal needs throughout my entire process. I would recommend her to anyone! Thank you for helping me find my first home Laura!" "Laura did a fantastic job from start to finish. We could tell she had a wealth of experience both in real estate and the area from the recommendations and insights she provided. It was Laura's recommendation to widen our search to other cities and within a week, we found the house that has become our forever home. Laura and Kelly were always there when we needed them, and were very professional through what can be a very stressful process. This wasn't our first home buying experience, but it was the first one that by the time we came to the table to sign the final paperwork, everything was crystal clear and there were no surprises. We would highly recommend Laura and Kelly to anyone who is looking to buy or sell a home. Thank you for making your customers your #1 priority. " "Both Laura and Kelly were professional and efficient. We had tried to sell our house previously with no luck. Laura understood what we were looking to realize from the sale, gave thoughtful suggestions on how to achieve our goal and represented us fairly and knowledgeably during the sales process. She was a delight to work with, as was Kelly." "From the very beginning we knew Laura was on our side to find us our first home. As first time home buyers we did not know a lot about what was expected and what to look for when buying a home. Laura answered all and any questions we had right away and even brought things to our attention we never would have thought of. Laura and her staff are absolutely amazing and I can say with confidence that when we are ready to expand and look for another home years down the road, Laura will be the one we go to!!!!! We highly recommend Laura Gardner for any and all of your home buying needs!!!! "Laura made the purchasing process for my fiancé and I so easy. She was very informative and knowledgeable and answered every one of our questions in a timely manner. We would highly recommend Laura to anyone who is purchasing or selling a home. We can't thank you enough to Laura for helping my fiancé and I purchase our first home." "We would like to thank Laura Garner for her understanding, professionalism and most of all patience in the finding of our new home. It took some time but Laura knew what we were looking for and sent all contenders are way until the right one came along. Her assistant Kelly also did an outstanding job! All worked out well with Laura's experience and expert guidance. If you need an agent that works for you, look no further, Laura is the one; Highly Recommended"
"Thanks to REMAX's amazing Laura Gardner, my house sold in 21 days during July 2013! Just remarkable in this economy. The pressure was on to meet all the requirements of a house sale and get to a next destination within 60 days. The success of the endeavor is truly related to Laura's professionalism and expertise in working with real estate and people. Plus, Kelly, Laura's assistant, deserves a round of applause too for her contributions to my reaching finish! While Laura was already busy with many more customers, she always took the time to respond timely and with sound solutions to any questions there were as part of the journey. She is really a best example of cool, calm, and collected in a ready, set, go ability to help her customers. I am very pleased, too, that the family house was sold to a young family who shares a love of land and community, and also, happened to be another REMAX customer. How did I find Laura? Thanks to a suggestion by a leader of the credit union where I belong, I reached out to Laura and am complimented 100% plus on the ability of networking to reach my new landing. It is a true "Christmas" in July experience! Here is wishing continuing and deserving successes for Laura!" "Early in the spring we decided to sell our home and to purchase a condo. Having known Laura Gardner for several years we contacted her and agreed to contract with her to accomplish our goals. From the very start we knew we had made the right choice. She advised us on how to prepare our house for sale and what work was needed to be done. In about 3 months our house was sold at the price we asked and a condo was purchased. Laura was a pleasure to deal with and guided us throughout the process. She was pleasant, hard working and kept us informed. Often, we were in touch several times a day. We would recommend Laura to anyone selling or buying a property. She continues to keep in touch even though settlement was made 4 months ago"
"Laura, we would like to thank you for your outstanding knowledge of the real estate world, your professionalism in dealing with all aspects of the sale and your ability to help us in whatever situation came up. Our neighbor referred you to us and after interviewing other agents, we felt our neighbor was right and boy, was she right! Thank you for all your help and guidance. I would not hesitate to suggest you to another seller or buyer. They couldn't do better." "From the first time we contacted Laura, we could tell that she was the perfect realtor to assist us in finding our first home. Together, her enthusiasm and knowledge during the process made us feel at ease and comfortable every step of the way. She always made herself available to answer questions and to view homes. We truly believe that her service, expertise, and determination is unmatched. Although we just closed on our first home, its not too early to mention that we will be contacting Laura for our second! Without hesitation, we would recommend Laura to anyone looking for a realtor. " "I am delighted to recommend Ms. Laura Gardner as an exemplary realtor. Ms. Gardner displays the the qualities of attentiveness, professionalism, and perseverance in all her dealings. We have known Laura for seven years, and with her help,we were fortunate to sell our home in Hatboro,PA in 2006 and to purchase a home in Lansdale ,PA at the same time. Then when we were ready to sell the Lansdale residence this year, Laura accomplished that sale and helped us purchase our current home in Harleysville, PA.
Laura's attentiveness is apparent in the timely way she responds to questions and returns phone calls, texts and emails. Buying and selling a home can be stressful, and Laura was always available for counsel and encouragement. She always made us feel as though we were her only clients, and of course we were not. Her professionalism was displayed with every dealing we had with sellers and buyers. She was always our champion and always educated, perceptive, and well-informed about properties we looked at. About the property we were selling, Laura was enthusiastic at all times and able to point out its merits to sellers no matter what questions they might have had. She saw merits in our property that we had perhaps not noticed ourselves. Laura's perseverance manifested itself in her relentless determination to help us sell our home and to help us buy our current home. She never gave up ,and she held numerous open houses for us, in addition to using the post office for mailings and of course all the usual electronic sales tools available.When we purchased our current home, Laura was persistent in making sure that everything was in order for us at settlement. In sum, Laura Gardner is a fine person and an attentive, professional and persistent realtor, one whom I can recommend most highly." "I recently had the pleasure of meeting Laura Gardner who I contracted with to sell my home and find another residence. Laura met me with a warm greeting and enthusiastic attitude. She was not only well prepared with all the necessary information I needed to make important decisions, but worked tirelessly to keep things moving in a forward direction. After several showings and open houses resulting in little interest, I became discouraged and frustrated. Laura reassured me that the number of people coming through was a positive sign even though the housing market was at an all time low. As it turned out, Laura was right on the money and subsequently, the house sold in a short amount of time. While all of this was going on, Laura also helped me find another residence that suited my needs perfectly and everything settled on the same day! Laura made me feel like I was the only client she had. I was always able to reach her by phone or arrange a meeting at my convenience at any time. In closing, I think Laura is a treasure and I would give a reference to anyone in the market to buy or sell a home." "Your Re Max presentation to us was so professional and complete, we signed with you without seeking other agents.Re Max will continue to be #1 as long as they have agents with your caliber and experience. You constantly kept us up to date with feed back on our showings. Your diligence and perseverance with an agreement of sale that was poorly prepared by the buyers agent, kept us on track to a successful closing. You always responded to our questions in a timely manner--even when you were on vacation. You recommended a contractor that was professional and fair priced to complete the various repairs needed. We met at your office, signed and notarized all of the paperwork, so that we did not have to attend the closing. You certainly earned the listing fee we paid--it's a shame it had to be shared with an agent that you had to constantly advise of her mistakes. We would recommend you and your Re Max office to anyone interested." 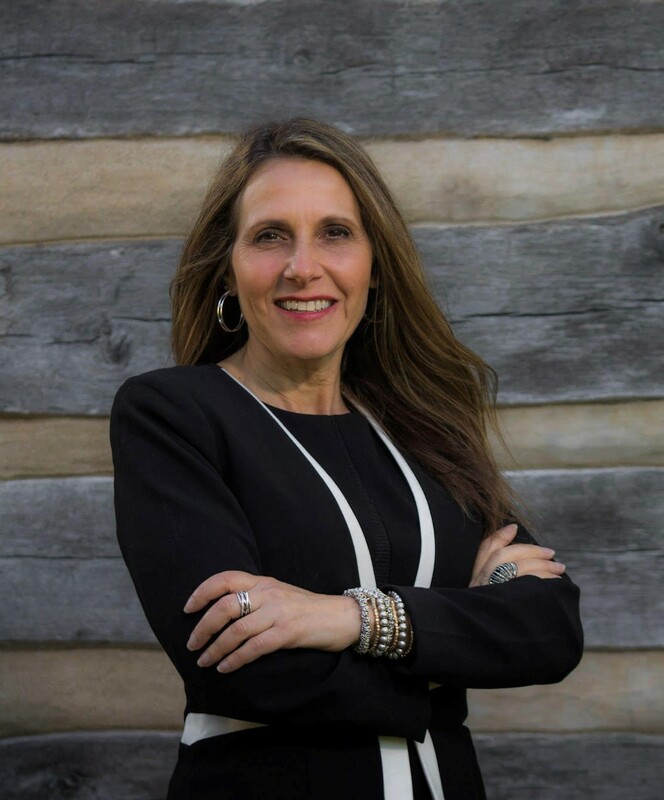 "Laura is not just another realtor. Laura knows home construction, understands electrical, mechanical and water systems, very pleasant to deal with and a creative negotiator. Laura pays attention to detail, great follow-up, available or returns calls in a very short period of time. As a buyer’s agent, Laura has your interest in mind. Laura can quickly spot an easy fix as well as the ability to identify a nightmare. She won’t sell a problem property for the sake of a commission. As seller’s agent, Laura will not over promise and under deliver. She has a keen eye for staging and cost effective improvements. Laura is not just another realtor. Since our purchase, we have become a part of her family and one of our closest friends." "Laura did an excellent job making our dream a reality. Her dedicated work ethic and years of experience made the purchase of our new home and the sale of our old home possible. When things got difficult she was always right there fighting for our best interest and always in constant communication with us." "Laura is a reliable, well informed and enthusiastic agent. I know, because she was my agent for, not one, but two home sales and purchases… and you can be sure I wouldn’t have gone back a second time if I wasn’t happy with the service the first time. Enough said!" "I had a Very Positive Experience with buying a home with Laura. She supplied me with lots and lots of listings for homes in the area that I wanted to buy. She was always working hard for me, in everyway, to help me find a place that I could afford and be happy with. My happiness was her # 1 concern. After a very bad experience with another Realtor. I guarantee that everyone that uses Laura for their real estate needs, will be very happy with their experience. She takes good care of her clients, but most important, she is a realtor that you can TRUST!!" "We were actually planning to invite u and the family this spring to formally show our appreciation for all your hard work and patience with us. Ours was a long journey but we came through with your support. Indeed, you are one of a kind. I wish there are more people out there like you."